No big announcements, no product placement events - HTC is different than Apple and co. HTC has introduced the international version of their Android Flagship Device, without much public attention - the HTC Butterfly. This device will be known in Japan as J Butterfly and in the US as Verizon Droid DNA. The devices has a Full-HD-Display with the new Super-LCD-3 display generation. On the five inch display there are 440 ppi. 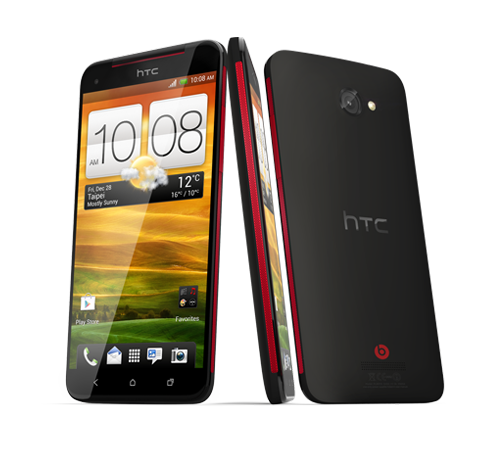 It has a Qualcomm-Quad-Core CPU with 1,5 GHz. and a powerful Adreno.320-GPU. In addition the device is equipped with two GB of RAM. The users can store their multimedia files on 16 GB internal storage wich can be extended by 32 GB via microSD card. Both cameras can record videos in 1080p full HD, still images can be taken with 8 megapixel and 2.1 megapixel. It does not include LTE but is unequipped with all other up to date communication standards including NFC. The batter is assembled fix and has 2.020 mAh.